If you are an existing patient, we would like to thank you for trusting us with your dental care. If you are a new patient we would like to welcome you to our Wichita dental office. 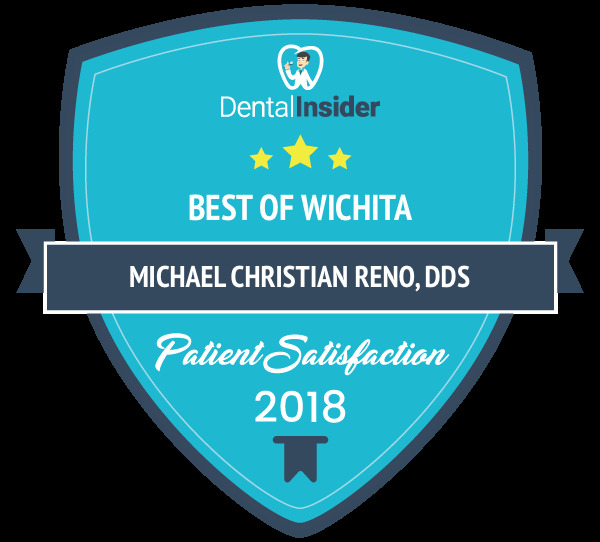 Dr. Michael Reno and the staff at Cosmetic Dental Arts of Wichita look forward to meeting you and providing you with the personalized, high quality dental care that you deserve. We genuinely hope this site is helpful to you in learning more about our Wichita, KS dental practice, dental treatments, dental recommendations, tour of our office, payments & insurance and more. Please browse through our website and be sure to give us a call @ 316-722-6060 if you have any questions or would like to schedule an appointment. You may also use our online appointment request form to schedule your appointment. Wichita, KS Dentist Michael Reno, DDS provides patietns with general, family, restorative and cosmetic dentistry and offers dental services that include: teeth whitening, dental implants, veneers, crowns, dentures, root canal therapy, periodontal treatments, general dental exams and cleanings, fillings and emergency dentistry.